Pigeons are a nuisance and under certain circumstances they can be downright dangerous. These birds are a lot like rats and rodents in that they’ve adapted to city life and thrive off products of human civilization. These aren’t your average pest. 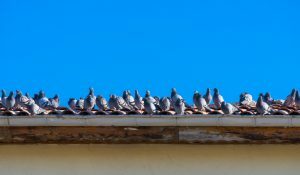 Just like insects and rodents, pigeon infestations can cause a broad range of problems to humans, animals, and property. According to the New York City Department of health, pigeons can spread at least three deadly diseases to humans in addition to creating several other problems. As you can see, it’s important to take a proactive approach to pigeon pest control to reduce your risk of disease and property damage. It’s extremely difficult to get rid of a pigeon infestation. What works for one person may not work for another. You may need to utilize several methods to remove the pigeons for good. Certain techniques can be difficult to do on your own without the help of a professional such as trapping and removing the pigeons. Know your limits and make sure to call a professional if a situation seems out of your hands. The best form of pigeon pest control is to avoid getting an infestation in the first place. If pigeons are starting to hang out around your home or business, start with pigeon deterrence solutions to keep them away before they become a problem you can’t control. Remove food and water sources. Make sure there isn’t any garbage or pet food sitting around that could entice the birds to stick around. Pigeon spikes. 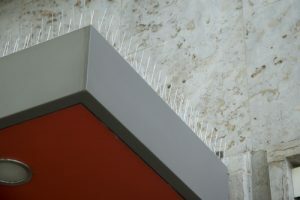 You can find pigeon spikes for your roof or gutters in many hardware stores or online. Set them up anywhere pigeons could land or nest. They can’t infest your property if there isn’t any room. Bird netting. Pick up some bird netting at Home Depot to keep the pigeons away from your building. Modification. You could also opt for bird slopes and bird wires to keep them away. Electrification. Don’t worry, it doesn’t injure the birds. After a few small shocks from an electrification device, pigeons won’t go anywhere near your building. You can also utilize a variety of methods for repelling and removing pigeons from your property. Some pigeon repellent solutions may be easy to accomplish on your own while others may require skill from a professional. Make a pigeon repellent spray with cayenne pepper, vinegar, and water. Trap the pigeons. Make sure you call a professional for removal. Cover areas they congregate with sticky solutions or strips. These are nontoxic solutions for pigeon pest control. Destroy the nests and eggs. It sounds harsh, but this is necessary for removing the mites and removing the pigeons’ incentive to return. Removing pigeons from your property can be dangerous if you don’t take certain precautions. If you’re cleaning pigeon droppings or removing a nest, make sure to wear clothes you can throw away when you’re done. Bird mites will attach themselves to the clothes and could infest your home. Cover your hair as well. Wearing a respirator is crucial when cleaning toxic bird droppings. Shooting them could pose a risk to others around you and could be illegal where you live. Besides this, it’s ineffective. 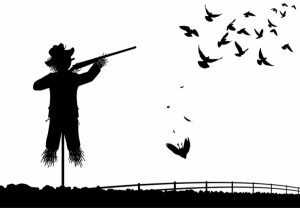 Once you shoot the first round, all the other pigeons will fly away and come right back once it quiets down again. If you’re planning on releasing the birds, don’t bother because they’ll just come right back later. Plus, the combination of droppings and bird mites in your car will be an absolute nightmare. Instead, trap them yourself and then call in a professional for removal. 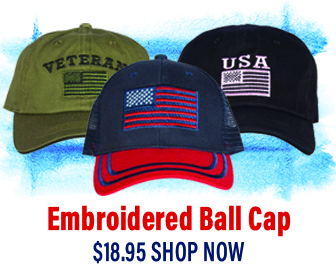 Check with local regulations to find out what is permitted in your area. Certain chemicals may be great pigeon control, but they can also be deadly to other small animals and children. Even if they don’t spread the poison with their feet, the birds’ decaying bodies could transfer it to other animals, soil, or ground water. You can’t just set some traps or spray some solution to make them go away. Pigeon control requires a comprehensive, multifaceted, and creative approach. Make sure you fully disinfect your property to avoid spreading disease and other problems. Always call a professional to help if you’re in over your head.